3M� DBI-SALA� Slim Profile Pullaway Wristbands use an elastic band that allows the wristband to conform to the user�s wrist size. Easily tether off tools using the sewn on D-ring. 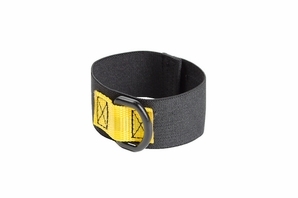 Pullaway wristbands are constructed from an elastic material that conforms to the users wrist size. Easily tie off most small hand tools to the sewn on D-Ring connection point.